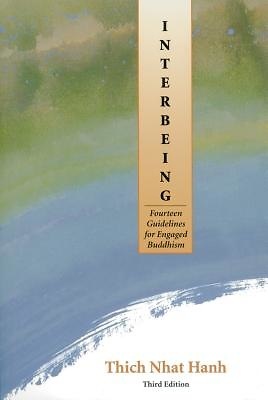 Formulated by Thich Nhat Hanh during the Vietnam War, the Fourteen Mindfulness Trainings of the Order of Interbeing are a penetrating expression of traditional Buddhist morality coming to terms with contemporary issues. In this new third edition, Thich Nhat Hanh introduces the term "mindfulness trainings" for "precepts." Thich Nhat Hanh is a Zen master, scholar, and peacemaker. He was nominated by Dr. Martin Luther King, Jr., for the Nobel Peace Prize and is author of over thirty books, including Being Peace, Living Buddha Living Christ, and Teachings on Love. He is the founder of Plum Village, a meditation community in France that leads retreats on "the art of mindful living."